American Werewolf in London Stickers! Below is the evolution of my American Werewolf in London illustrations. 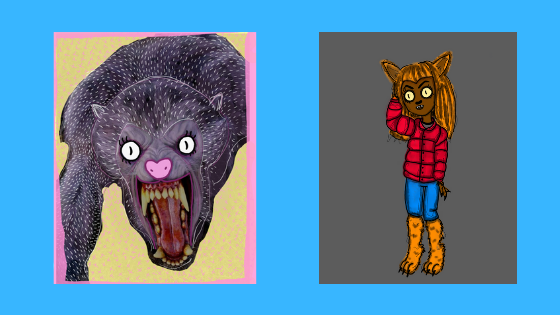 From photo drawing to chubby child werewolf. From concept to first illustration attempt. Chubby werewolf, David, wearing his iconic red puffer coat is in the shop. Both as a face and full body sticker! Check them out here! Cute Chubby David from American Werewolf in London stickers.